I have become quite the liquid lipstick lover, and when I heard about Jeffree and Manny’s collab I knew I had to get my hands on one of the liquid lipsticks! Luckily BeautyBay stocked the collab, and I managed to get my hands on the shade ‘Daddy’. I opted for this shade as I thought it was more wearable over ‘I’m Shook’, which is a cool toned red kinda shade. To be honest, I couldn’t really afford to be buying a £16 lipstick, but this is limited edition and well, I couldn’t resist. I’ve previously raved about the Jeffree Star liquid lipstick formulation, and how much I love it and this shade is no exception. A seriously lightweight, highly pigmented liquid lipstick. I only have to dip into the tube once, and I usually get a full application, which is perfect. Now the colour. I was a bit unsure when I saw it to start off with, as I thought it might wash me out. However, it looks much lighter in the tube than on the lips. On me it comes up as a mid/darkish brown shade. Something I’m not used to wearing, but actually I’ve fallen in love with the shade. Works for every day wear, but also could be dressed up for evening time too. Overall I’m super impressed with this, Jeffree and Manny haven’t disappointed. I know Jeffree Star is a bit of a ‘marmite’ person, you either love him or hate him but to be honest I can’t help but love him. His lipstick formulas are incredible, and I’ll continue to buy them as they’re such good quality! 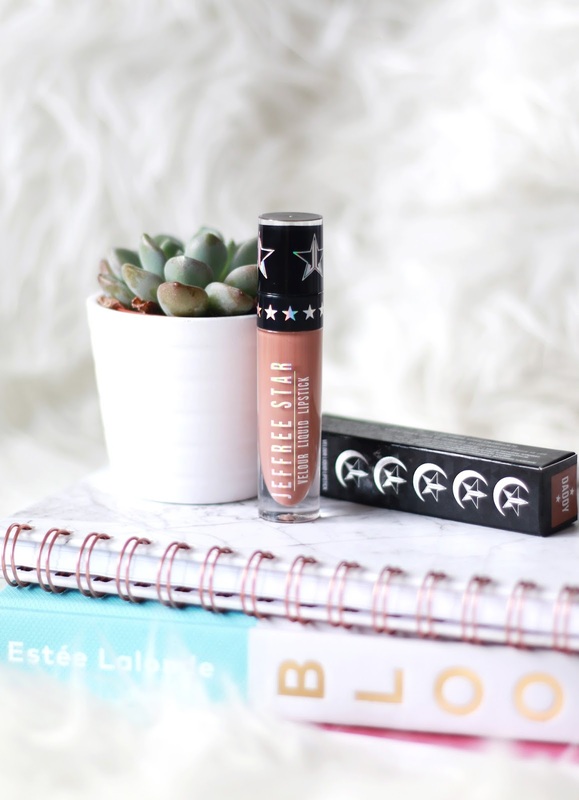 Did you manage to get anything from the Jeffree Star X Manny MUA collab?